When a field-goal kicker lines up for an attempt in a football game, television viewers will typically be presented with the kicker’s record from that distance — on all attempts from 40 to 49 yards, for instance. Meanwhile, if the kick in question is a crucial last-second attempt, the opposing coach will usually call a timeout, to “ice” the kicker — give him more time to feel the pressure, that is — while television announcers will often discuss the kicker’s past performance in such “clutch” situations. It turns out, however, that the distance of a field-goal attempt is just one of many factors determining the odds of its success — and that “icing” the kicker is virtually useless. That is the conclusion, at any rate, of a detailed study by MIT graduate students that was selected as one of the eight finalists in the research-paper competition at this year’s MIT Sloan Sports Analytics Conference, held Friday and Saturday in Boston. 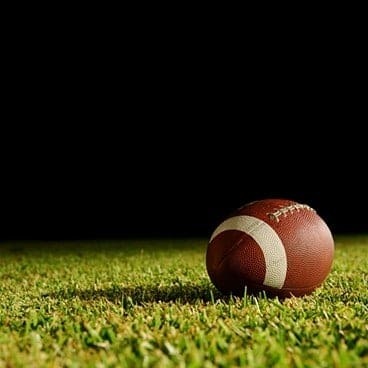 The study, examining all 11,896 field-goal attempts in the National Football League from 2000 through 2011, finds that while distance is significant, “environmental factors” such as a high-altitude setting and the presence of artificial turf as a playing surface notably improve success for kickers; cold temperatures, rain, a grass field and a low-altitude setting make kicks more likely to fail. This means that a 45-yard field goal attempted in snow is 18 percent less likely to sail through the uprights than a 45-yard field goal tried in 50-degree weather with no rain. A 50-yard field-goal attempt in Denver in September, therefore, should be regarded much differently than a 50-yard attempt in Cleveland in December. Clark wrote the paper with two other graduate students in the Department of Aeronautics and Astronautics, Aaron Johnson and Alexander J. Stimpson. Like a lot of people who engage in sports analytics, they are knowledgeable fans — “sports geeks,” they say — who decided to question the conventional wisdom prevalent in sports. Interest in sports analytics among people like Clark, Johnson and Stimpson has made this year’s conference, the seventh annual Sloan Sports Analytics Conference, the biggest yet: It will have 2,700 attendees at the Boston Convention and Exhibition Center, including some 800 students from more than 100 institutions, while more than 90 professional sports teams will have analysts at the event. There will be 30 panels over two days, and more than 150 research papers have been winnowed to the final group of eight, with the ultimate winners collecting a $10,000 prize. Sports analytics dates at least to the 1940s, when Branch Rickey, the legendary general manager of the Brooklyn Dodgers, commissioned statistics-based studies of baseball. Its first public breakthrough occurred when Bill James, an avid Kansas-based fan, produced an annual “Baseball Abstract” from 1982 through 1988. James created a wealth of new tools for evaluating players, strategies, and many other aspects of the game — how much baseball’s unique parks influenced player performance, for example — that seeped into baseball culture in the 1980s and 1990s. In 2003, when the writer Michael Lewis produced the book “Moneyball,” about the efforts of the Oakland Athletics to use James-style analysis, sports analytics reached a whole new level of acceptance. Lewis is among many well-known figures speaking at the event, including statistician and political analyst Nate Silver (who first became known for his work in baseball analytics) and a wide variety of team owners, general managers, coaches and sports professionals whose jobs did not exist a decade ago: The Houston Astros, for example, have sent their “director of decision sciences,” Sig Mejdal, a former NASA researcher with two engineering degrees from the University of California at Davis, to the event. Indeed, a serious academic background is a characteristic shared by many practitioners of sports analytics. The authors of another contender in the research-paper competition, Timothy Chan and Douglas Fearing, met as graduate students in MIT’s Operations Research program, where Fearing worked closely with Stephen Graves, the Abraham J. Siegel Professor of Management at MIT Sloan. Their paper in this year’s competition — “The value of flexibility in baseball roster construction” — was inspired by Graves’ work on flexibility in manufacturing networks: If one factory in a production system breaks down, it is imperative to have other production facilities versatile enough to keep a chain of manufacturers linked together. Similarly, Chan, now an assistant professor at the University of Toronto, and Fearing, an assistant professor at Harvard Business School, observe that teams must have ways of fielding credible lineups when injuries inevitably occur. It is valuable, then, for teams to have backups capable of playing multiple defensive positions. And teams can also benefit by platooning, or alternating, right-handed and left-handed batters at the same position, depending on the opposing pitcher they face. Using a baseball metric known as Ultimate Zone Rating (UZR), Chan and Fearing were able to estimate how well players would handle defensive duties at multiple positions, and used well-established tools to compare players’ hitting performance to that of replacement-level players. Using stats from the 2012 season, the researchers found that positional flexibility, if applied, could add as much as 15 percent of the total value to a team (in this case, the Chicago Cubs). Also, they found that the teams most susceptible to injury are the Washington Nationals and the Tampa Bay Rays.